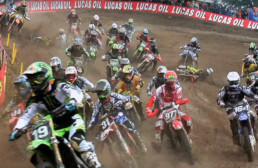 There have been a few instances of top-flight sportsmen in bikesport (and motorsport) who have won more than a hundred times at the highest level of their game. Giacomo Agostini and Valentino Rossi are two that spring to mind as ton-up winners on two-wheels: now they have been joined by the diminutive Spaniard Toni Bou. Toni who? Yes that’s the dilemma afflicting trails riding – a super-specialised branch of global two-wheeled sport. 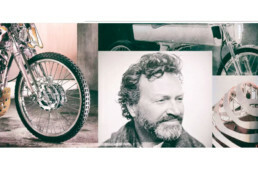 It remains to be seen whether his name strikes a bell in the minds of motorcycle enthusiasts, but Toni is legend when it comes to the rarified art and the exacting science of trials riding (Dougie Lampkin being the accomplished master of this specialized art you might have just heard of, in the English-speaking world). Last month Toni went on to do something in his form of bikesport that no one had ever scaled: a hundred Trials Grand Prix wins! At Gouveia in Portugal, on his 200th Trials GP Championship start, he scored a win that saw him not just just attain a fantastic 50% wins-to-appearance ratio, but also surpassed the previous record holder Dougie Lampkin’s 99-win mark before he hung up his helmet. 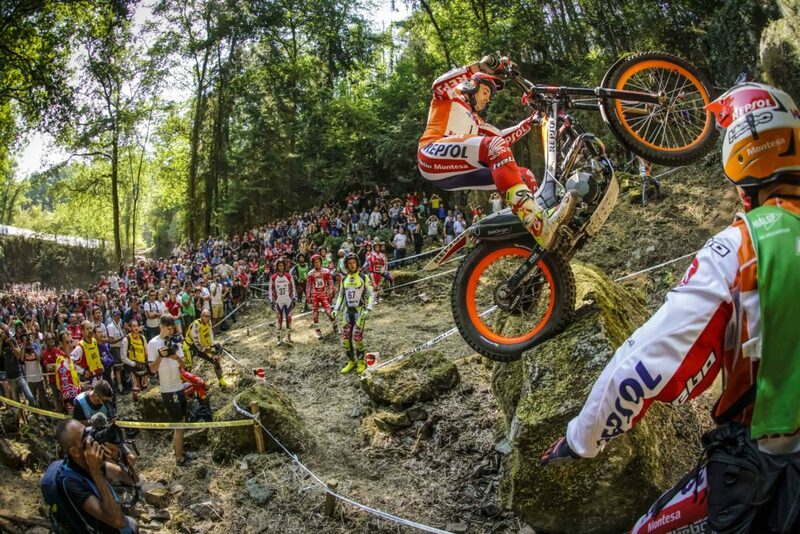 “It’s very important because the championship is really close,” said an elated Toni Bou post-win. “I am very happy to take this victory. I’ve always looked at the ninety-nine wins for Dougie and thought it would be impossible to beat, but finally I have. It’s very special.” And just so that he had to prove those hundred wins were not happenstance, Toni went out and won the next Trials GP – in Belgium – despite starting with a dislocated knee! Trials riding is a tough art, and while it’s slow speed stuff, try climbing over near-vertical obstacles without putting a foot out to steady oneself, or aim at landing on a surface just slightly bigger than a tyre contact patch. Then you’ll understand what balance, concentration, planning, throttle control and such stuff can do. Riding his Montesa-Honda Cota 4RT, Bou is also the reigning World TrialsGP Champion, and is shooting for World Championship title no. 12 this year. He ‘cleaned’ (no points lost for putting a foot down) the first lap at Gouveia while everyone else accumulated a handful, and by the end of the second and final lap he won the Portuguese TrialsGP with a 12-point advantage over his nearest rival, Jeroni Fajardo riding a Gas Gas. And the bikes used for this specialized branch of bikesport, are also, well, special! The ultra-short wheelbase is the first bit that strikes your eyes, as is the sunken seat in the frame, all designed to give the rider leeway to ride almost upright, standing on the pegs, with the front wheel at a near 60 to 75-degree angle from terra firma, with close to seven inches of suspension travel with firm damping and large-diameter wheels (21-inch up front and 18-inch at the rear) shod with deep-grooved rubber with nearly square shoulders! Trials originated as a European art form, but it has a fanatical following among the Brits, the Japanese, the Italian and the French, and of course the Spanish who have mastered the art. Not just the riders but also the bikes and the specialist equipment suppliers for this form of bikesport are all Euro-centric. Trials competition is normally held on tight natural courses, which to mere mortals look virtually impossible to traverse on foot, but trials riders with their amazing agility coupled to their skills – both physical and mechanical – make us look on in disbelief. Of course given the way global sport has turned to television, there are trials events now held in small stadiums in urban areas so fans can watch these virtuoso artists perform on unbelievable obstacles without, forget falling, even putting a foot down to steady themselves, or a wheel out of sync on the narrow courses. A few words about the Spanish Montesa concern: in existence now since 1944, but they only built their first bike in 1967! 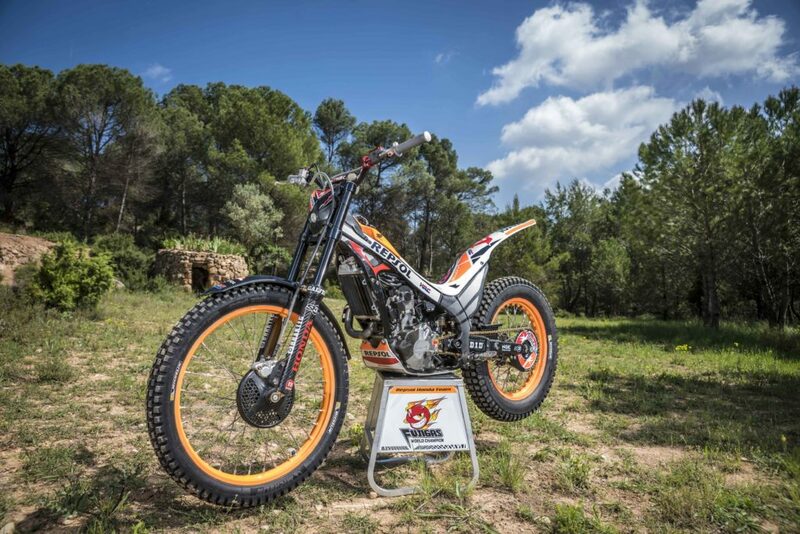 A year later came their first major success in the form of the Cota 247, and from there Montesa has never looked back. After raking in wins in Spanish national events, the marque first hit the high notes in 1979, when the great Malcolm Rathmell took victory in the 1979 Scottish Six Days Trial, and just to emphasize this wasn’t a fluke, team-mate Yrjo Vesterinen swept the top spot at the same event a year later. Montesa gained its first world title in 1980, whenSwede Ulf Karlsson riding the Cota 349 won the 1980 World Trials Championship and Montesa took the constructor’s crown, a feat it repeated the next year as well. It was tough going from then on for Montesa, as rival factories muscled past it, so Montesa joined hands with Honda in the mid-1990s: the engine was designed by the Japanese partner while the Spaniards perfected the chassis. This marked the start of an unbelievable run of victories and world titles. 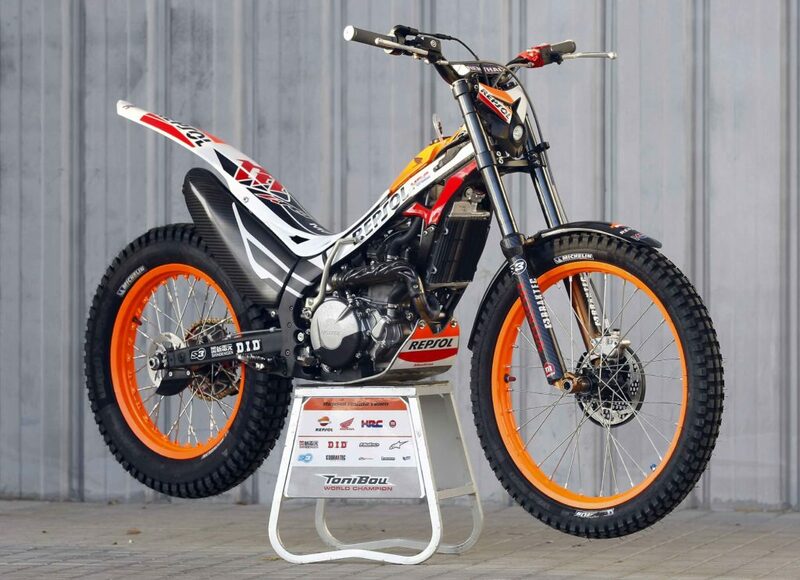 The first joint development between Honda and Montesa was the Cota 315 on which Marc Colomer won the 1996 World Trials Championship. After the factory trials team signed up a young Dougie Lampkin, he proved unstoppable, winning the world title from 2000 to 2003 to add to his world titles taken with Beta in 1997, ’98 and ’99. 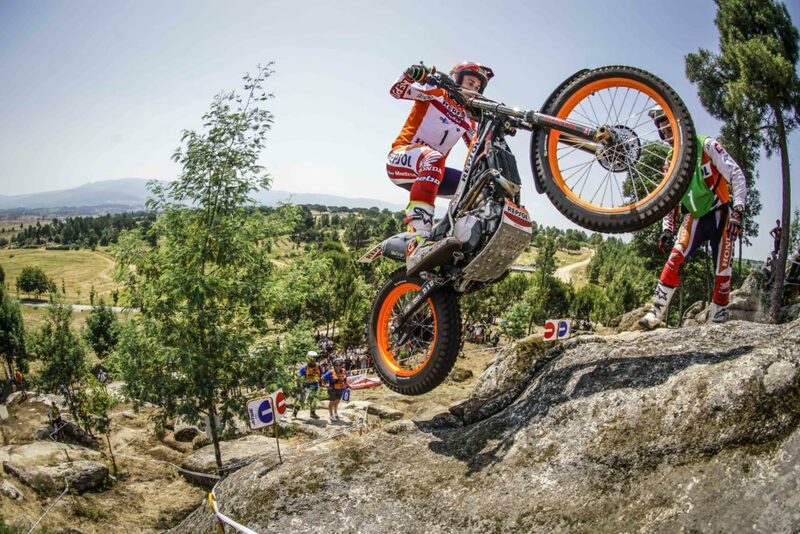 Japanese ace Takahisa Fujinami took a world title for his country and Montesa in 2004 before the great challenge from Adam Raga on the rival Gas Gas machine saw Montesa go without any titles for the next two years. 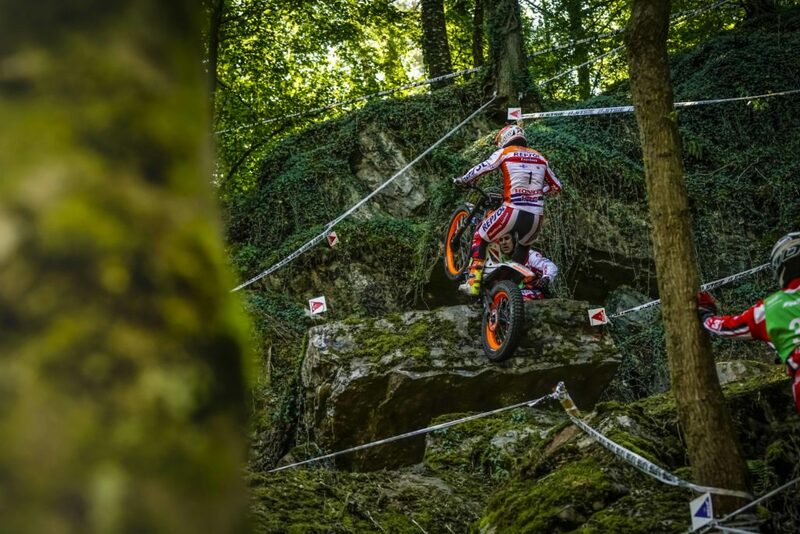 However, the winning streak resumed with unbelievable vigour and frequency as Toni Bou started his amazing run with 11 outdoor World Trials Championship titles beginning 2007, and a further 12 Indoor Series World Trials Championships from there on! 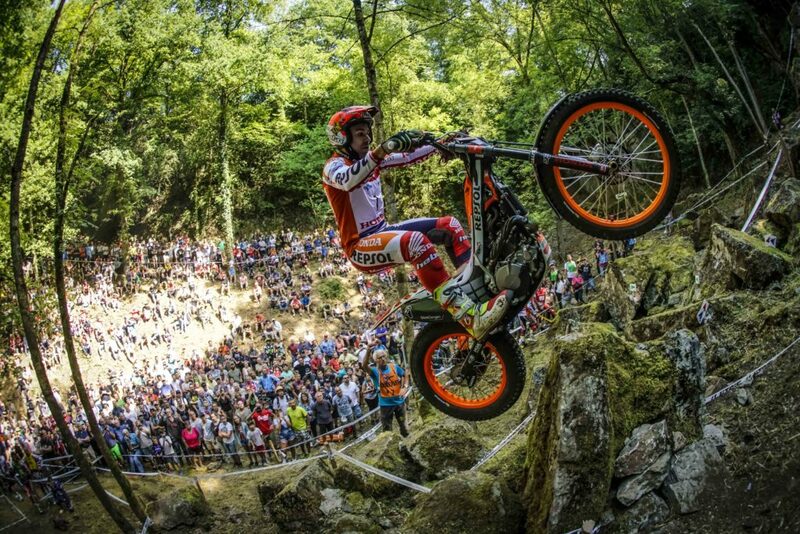 Not even Dougie Lampkin managed this, and to take them on a hybrid Spanish-Japanese machine was pretty special. 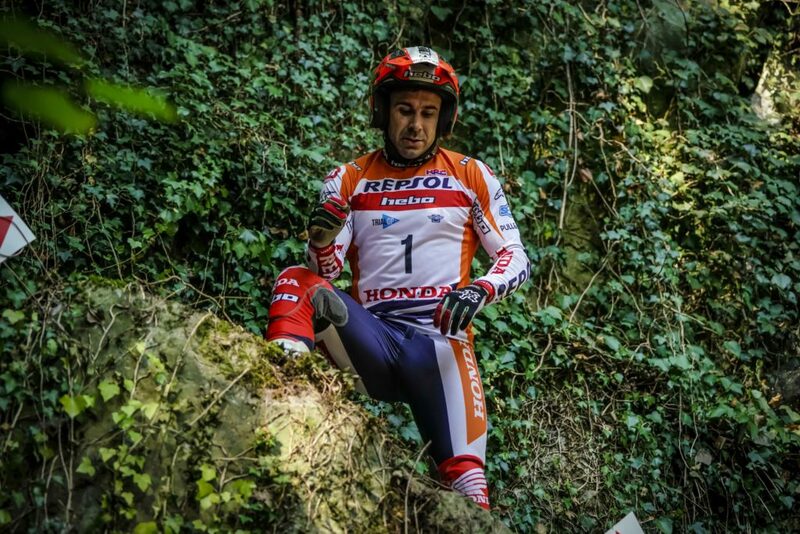 As he aims for world outdoor title number 12, it seems Toni Bou will emerge as the greatest world champion motorcycle rider that the world just doesn’t know much of! Take a Bou, Toni for you certainly are, special! Are you kidding ? !! No I am not kidding because people all across the world don’t know him. Not in Asia, not in the US of A but surely in Europe and that you would agree is a shame because he deserves to be known everywhere.